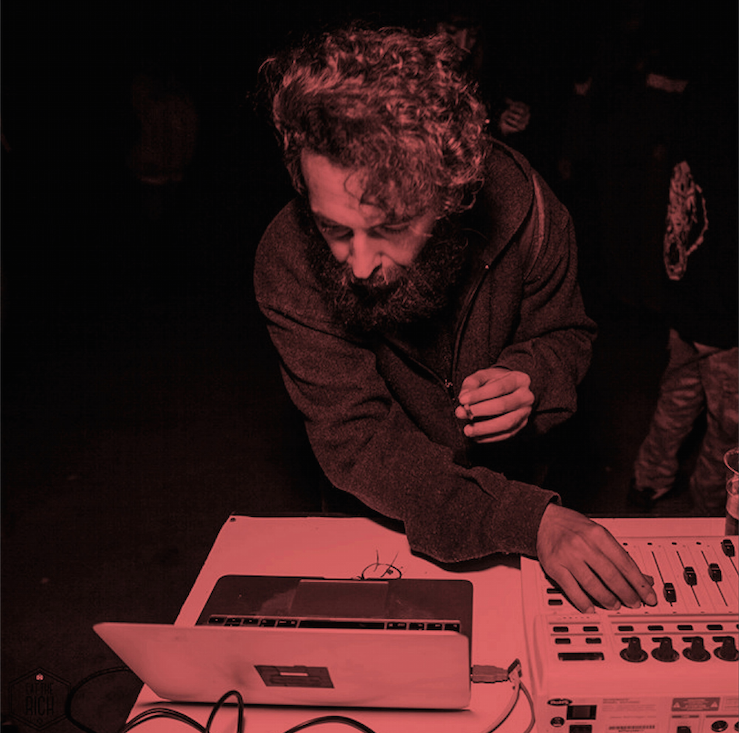 Composer, percussionist and electroacoustic musician, Marco Malasomma focuses his research on the construction of complex and deep sound architectures created through the use and reworking of field recordings, concrete sounds and instruments elaborated in real time. In 2012 he founded White Noise Generator, a research group and record label, engaged in the dissemination of new artistic languages. He has collaborated with some of the most interesting names in improvised, electroacoustic and noise music. With White Noise Generator he has been involved in the organization and artistic direction of numerous festivals and exhibitions. His sound research finds fertile ground in the interaction with other artistic forms, allowing him to work as a sound designer for cinema, television, theater, dance and multimedia performances. He has participated both as a soloist and in ensemble at some of the most important European research festivals including MIA (Portugal), Sons libérés (Belgium), and in Italy at Flussi, Time Zones, Milan Film Festival. In 2014 he presents his solo project Ergo on the occasion of the opening for the Australian musician Ben Frost. Two years later with the same moniker presents the record Misophonie, followed by an Italian tour concluded in October 2016. On November 1st he performed for the first time in solo as Marco Malasomma abandoning the name Ergp, on the occasion of the only Italian date of band Matmos with the Perfect Lives project, dedicated to US composer Robert Ashley. In December 2017 he presented his new Jura performance at MACRO in Rome, dedicated to the silent and distant island where Orwell ended his writing of 1984. With this project he faced a tour that touched Italy, France, Belgium and England.